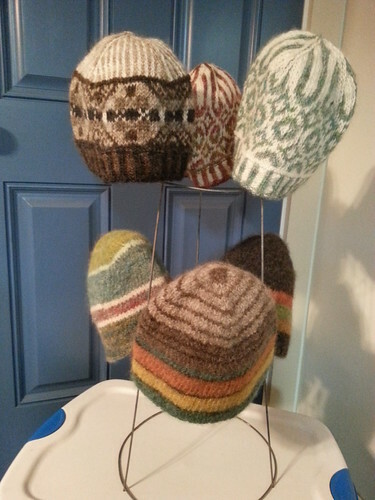 If you’ve been on the blog lately you might have noticed that I’ve been busy for the last couple months making hats in preparation for the Bow Little Market Holiday Festival. It occurred to me just recently that I might need a better way to display the hats than just laying them out on the door that I’ve been using as a table. 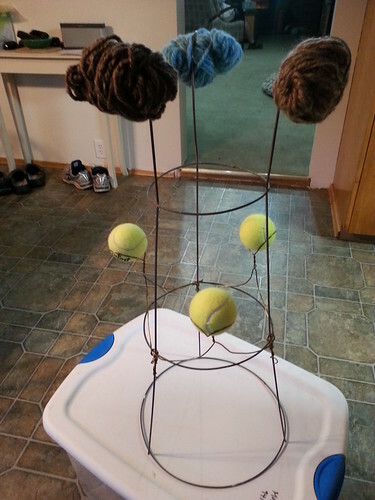 This weekends’ DIY mission: Hat Stand for Holiday Market! Do you recognize the materials? A small tomato cage and three wire hangers never looked so good! but came home with a Border Leicester lamb fleece as well. I tried, but I couldn’t resist.